Central American countries already had some of the highest homicide rates in the world, but the arrival of the Mexican cartels has made a bad situation even worse. Drug gang turf fights that plagued Mexico over the past decade are now being played out with increasing frequency and ferocity in its southern neighbors. And the same gruesome trophies, especially severed heads, are now showing up with greater frequency as well, increasing the incentive for honest and vulnerable young people to leave. Similar developments took place in Honduras. Journalists reported how traffickers dominated the rural portions of the country, including Colon Province. The reputed local drug kingpin traveled the area freely, but ordinary farmers were fleeing the province in droves, and the local press had become wary about reporting on cartel activities. 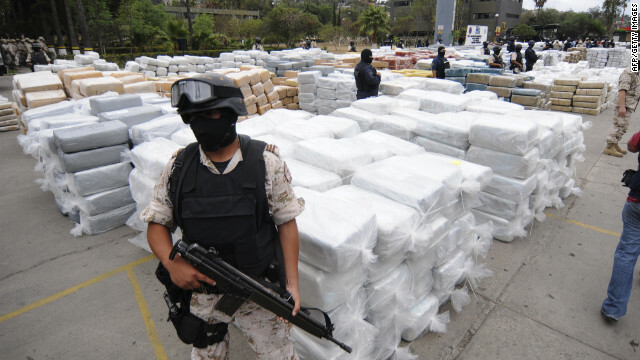 By nearly all accounts, the power of the cartels and the extent of drug-related violence in both Guatemala and Honduras remain at extremely high levels. But the reality is that unless we heed those warnings, we will continue to see the truly disturbing effects of prohibition, whether in the form of violence in Latin America or a refugee crisis along the U.S.-Mexico border. Next entry »Can other countries tap into Obama campaign success? America's war on Mexican drug cartels date back to the good old day's of 1980's in South Beach Miami when the Mexican drug cartels used to buy office buildings, with drug money and have dummy corporations such as real estate business's who would file taxes to the IRS which in turn would make it look like a legal business being operated. The catch twenty two to this situation sometimes the Mexican cartels would bring their style of Mexican violence to the streets of Miami, which in turn would start American Latin Hispanic gang battles on the streets of Miami and lot's of innocent people where killed during these events. It got so bad that authorities on both side of the border from Mexico and Miami had to the monitor the situation, so lot's of people from Mexico took refuge in Miami and New York and maybe Texas to avoid the drug situation in Mexico. As Americans we ask the same old question how do we stop the drug cartels in Mexico, well some way's could be have more positive influences in the American Mexican community from the drugs and violence and show them there is a better way in life earn a college degree, and do what many Americans do live the American Dream with a great job and a house that put's money on the table to feed their family's for years to come.